Just translating the Scriptures is not enough. Someone still has to PRINT the Bibles! In a remote village—bound by belief in black magic—an old man, leading his tribe, was so consumed with evil he wore the flesh of his victims in a string bag tied to his belt for spiritual power. But God’s Word knocked him off his pedestal. Because of a friend like you, the killer emptied his bag of its vile contents, and replaced it—with a Bible. God’s Word, in this man’s own heart language, made all the difference. Just translating the Scriptures is not enough. Someone still has to PRINT the Bibles! This is the final link in the chain of love! With our Print On Demand equipment the people can print their OWN Bibles, in their own language—even in remote areas and areas hostile to the gospel. Print On Demand means people can print Bibles anywhere—and quietly, even secretly if necessary. And the result: God’s Word transforms whole communities when you help believers translate—and print—the Scriptures themselves. But many more villages, many more language groups, still urgently need Print On Demand equipment. A full-scale Print On Demand system costs just $25,000, and while it’s exciting to know that people are hungry for Scriptures, we can’t keep up with the demand. This means that people are kept waiting for God’s Word . . .
Every MAST workshop will need a Print On Demand system. 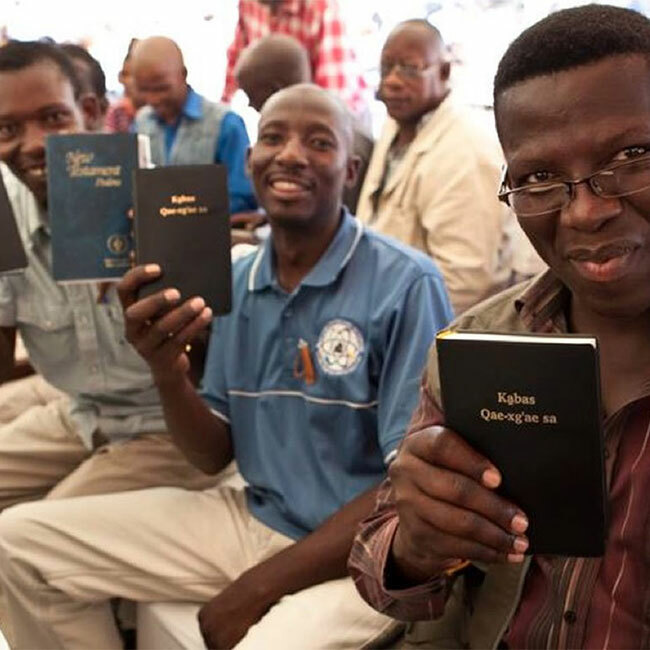 So we’re asking you, and every other Christian who’s online today, to give a special gift today—and help believers in faraway lands PRINT THEIR OWN BIBLES! Share the joy. Share the Word. Thank you! God bless you!